h'lo all you crazy fall/autumn pinners you! 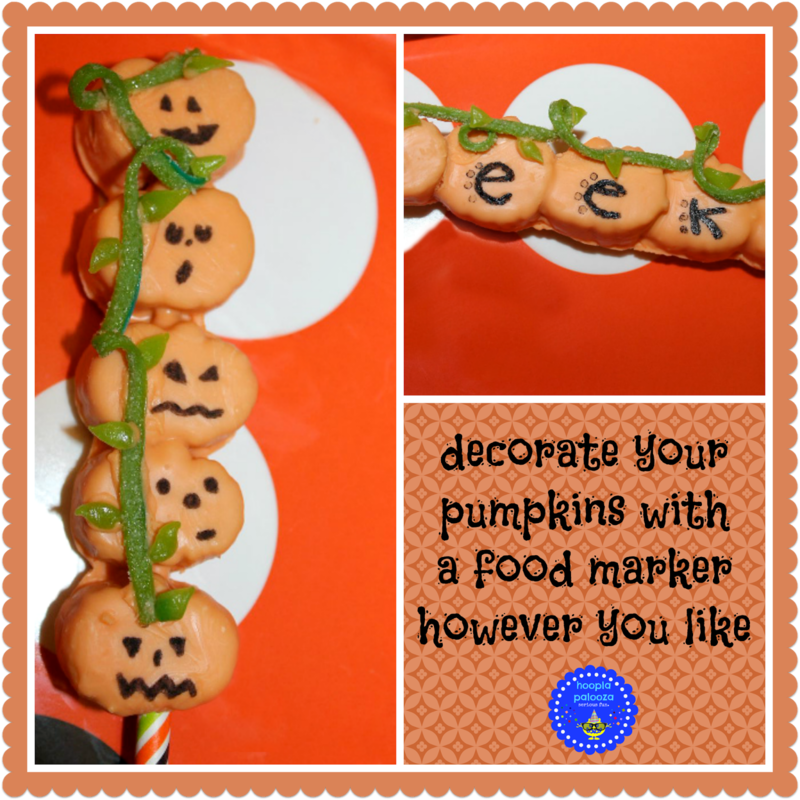 how's 'bout an easy food craft today? this one is a fallish/autumnish/halloweenish kinda treat. jet puff now makes pumpkin spice marshmallows. pretty yummy huh? i won't bore you with my usual step by step instructions. 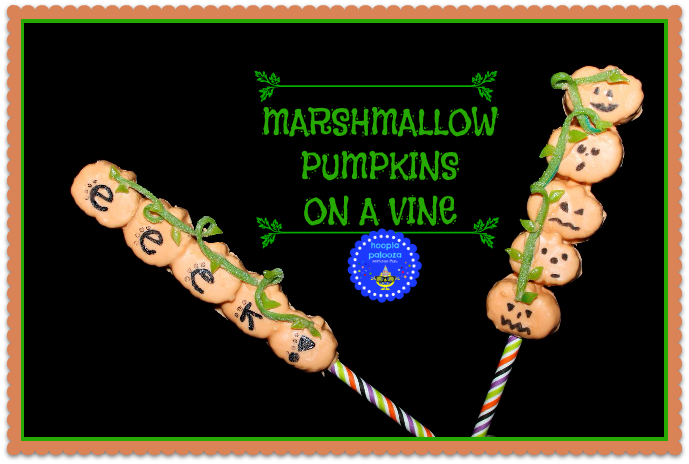 as all you do is stack some marshmallows, dip it then decorate with the green part of sour belts, orange candy melt and green starburst candy leaves. so see, you can do any kind of design you want. i made some horizontal and vertical. then i stuck the stick in a colorful straw for the last little detail. after i made these, i thought it would be cute as name placecards for parties too by writing the names of your guests on it like i did for the eeek! pumpkins. unless you know someone by the name of "eeek!" then you are already done with one placecard. do you know of such a person? crazy enough to make all her pictures turn into cartoons. oh well, at least you always have a party to look forward to on Thursday nites in September around here. so go on and please link up! Melinda of Look What Mom Found. i only have one more as co-host after this one so let's make this one a BIG one and then really really end on a grand note for next week's party ok? Okay - so I went a little "nuts" linking up! But that's what your site does to me - I get all smiley and giddy and can't wait to have fun too! Besides, you did say we should end on a grand note! 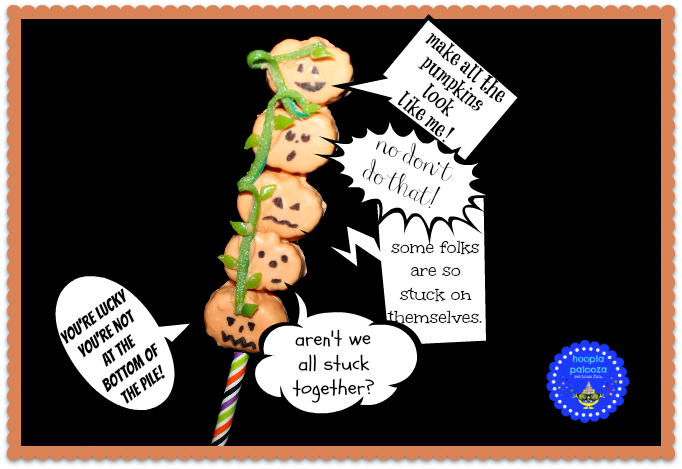 Your pumpkin sticks are darling - good way to feed 'em to the kiddies without sticky little hands planted all over the dog before I can get to the wash cloth! Love your super cute pumpkin sticks!! EEEK! 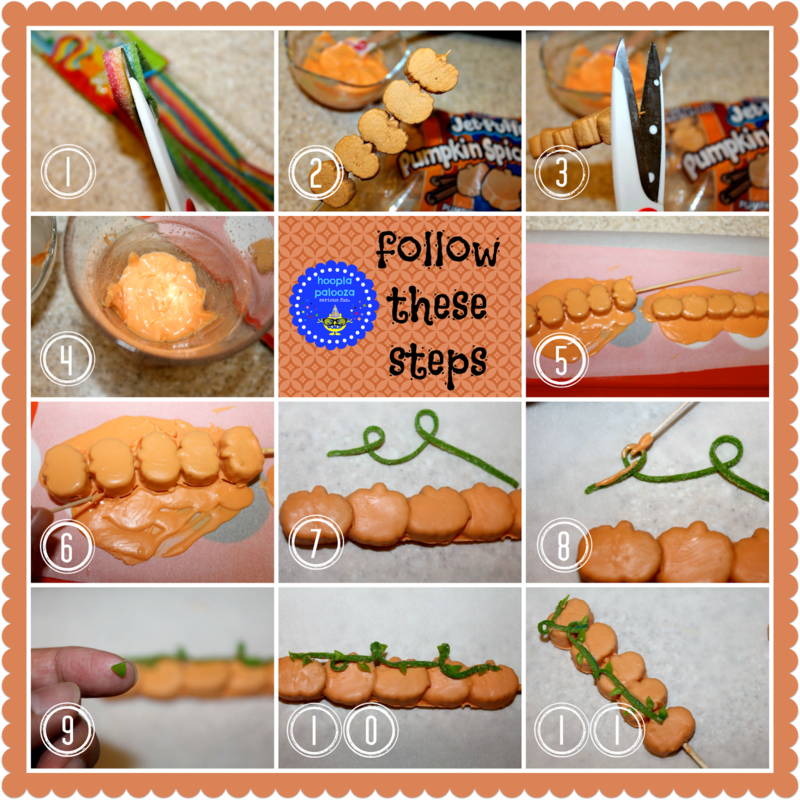 Oh those pumpkins are cute and super easy! LOVE THEM!!! Thanks so much for hosting Lisa! These are adorable Lisa! Thanks for hosting! 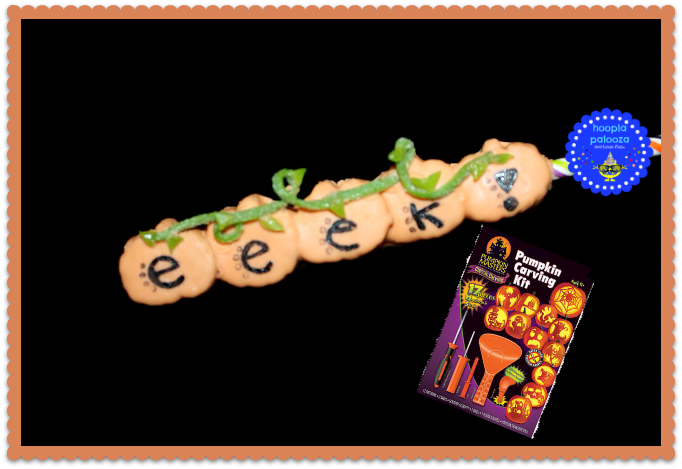 Quick, easy, and fun... what a perfect Halloween craft! Such a fun idea! Love the vines too!